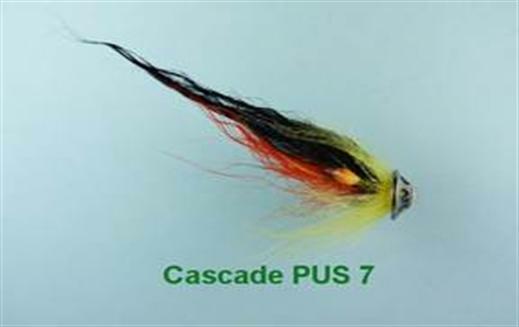 The Cascade PUS 7 has plenty of electrifying and colourful movement and is effective in both clear and stained water. These PUS discs are vented to allow water to pass through the disc and agitate the wing. Currently there are no comments about the Cascade PUS 7 fly pattern from other fly fishermen yet.